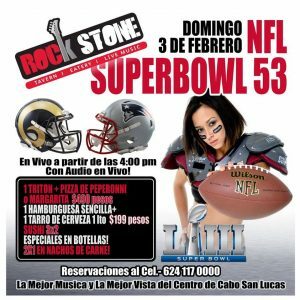 Of the 46 restaurants and bars that are located in downtown Cabo San Lucas, around the Marina, and along Medano Beach, nearly all of them offer annual Super Bowl parties, as do most of the three, four and five star hotel resorts. The world famous, Solomon’s Landing, is offering draft beer with chicken wings for $9.99 USD, draft beer with Pita pizza at $6.50, along with hamburgers accompanied with a 5-ounce basket of fries and draft beer priced at $9.99. 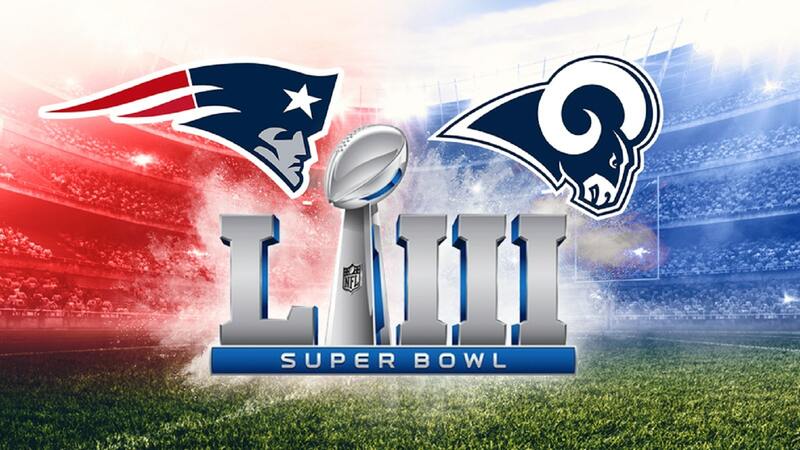 During Super Bowl Sunday at Solomon’s draft beer and margaritas are available at 2 for 1. For reservations, please call (624) 143-3050. 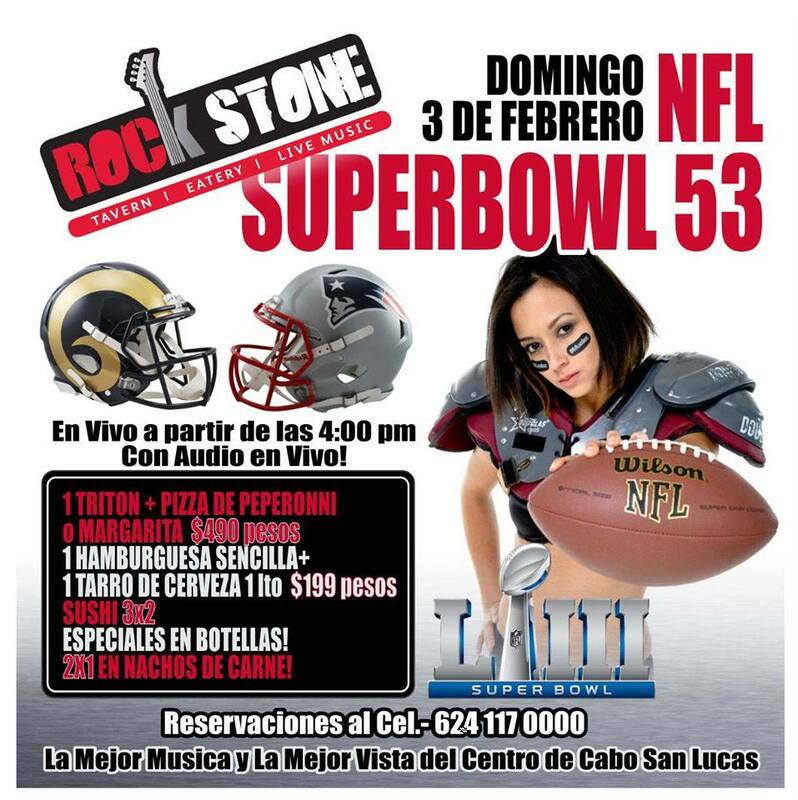 The Super Bowl Sunday specials at Rock Stone Tavern include a large pepperoni pizza with a margarita and their in-house drink called, Triton for $490 pesos ($22 dls) along with a hamburger and large mug of beer for $199 pesos, Sushi at a get three pay for two discount, and two-for-one carne asada nachos. 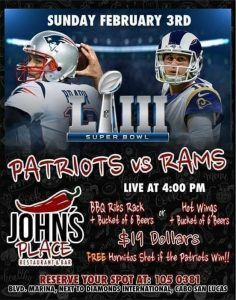 John’s Place, located on Marina Boulevard, is offering Super Bowl 53 specials of their tantalizingly tasty rack of barbecue pork ribs and a 6-bottle bucket of beers at just $19 US dollars, along with that same 6-bottle bucket of beers accompanied by some spicy or mild chicken wings at the same $19 dlls price. 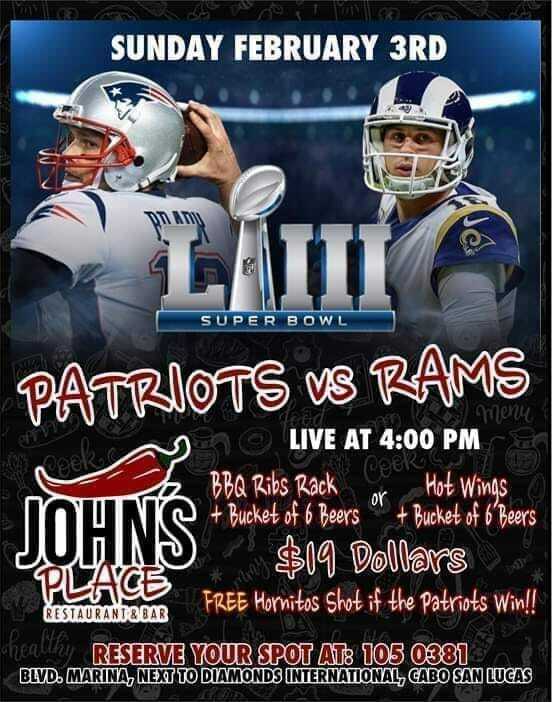 John’s Place is also awarding every patron a free shot of Hornitos Tequila if the New England Patriots win. To reserve a seat at their festive Super Bowl event, please contact (624) 105-0381. 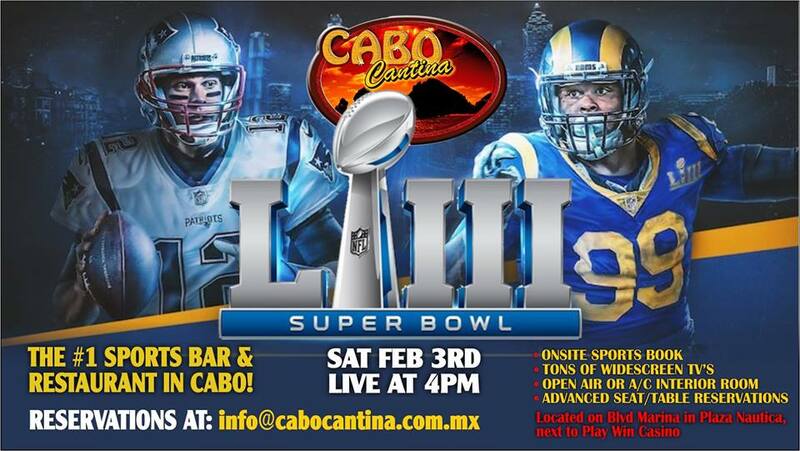 Cabo Cantina, one of the best sports bars in Los Cabo, offers an open air seating and air conditioned room to comfortably see the game on any one of their 12 big screen televisions. 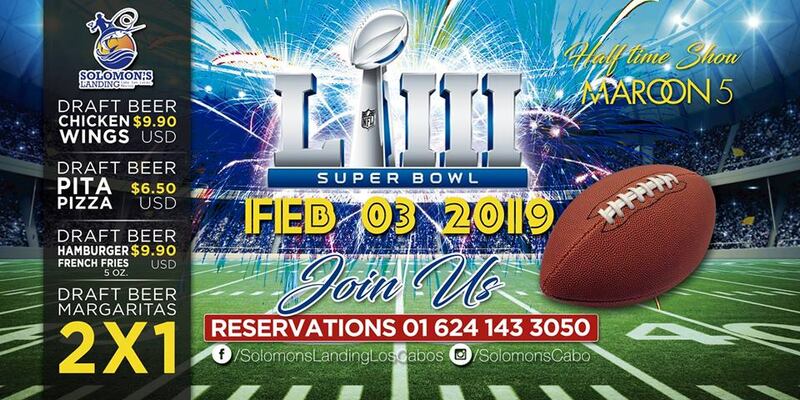 Live the excitement of 🏈Super Bowl LIII 🏈 at Mango Deck Cabo 😎! – LIVE transmission✨ on 2 GIANT screens 😃 and 26 plasmas 🖥. 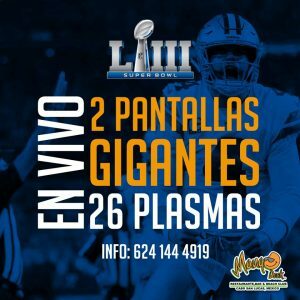 Info and reservations: ☎️ 624 144 49 19.